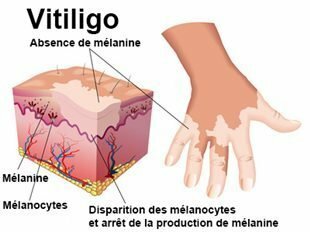 Vitiligo Treatment (pronounced vit-ill-EYE-go) is a pigmentation disorder in which melanocytes (the cells that make pigment) in the skin are destroyed. As a result, white patches appear on the skin in different parts of the body. Similar patches also appear on both the mucous membranes (tissues that line the inside of the mouth and nose) and the retina (inner layer of the eyeball). The hair that grows on areas affected by vitiligo sometimes turns white. 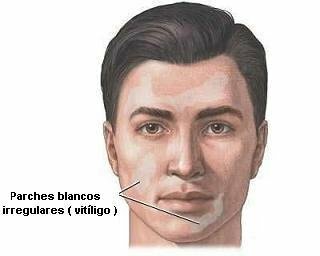 The cause of vitiligo treatment is not known, but doctors and researchers have several different theories. There is strong evidence that people with vitiligo inherit a group of three genes that make them susceptible to depigmentation. The most widely accepted view is that the depigmentation occurs because vitiligo is an autoimmune disease — a disease in which a person’s immune system reacts against the body’s own organs or tissues. People’s bodies produce proteins called cytokines that, in vitiligo, alter their pigment-producing cells and cause these cells to die. Another theory is that melanocytes destroy themselves. Finally, some people have reported that a single event such as sunburn or emotional distress triggered vitiligo; however, these events have not been scientifically proven as causes of vitiligo.